Abstract – Mental health is just as important for serviceman and women as military readiness and physical fitness. 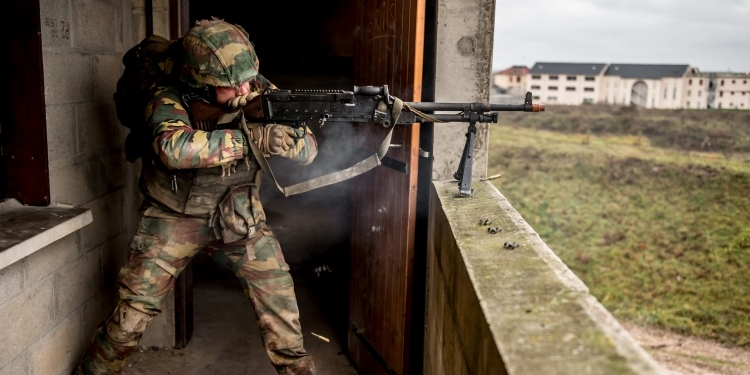 The current mental health approach of the Belgian armed forces is suboptimal and needs to be improved. The in-theatre and the post-deployment care need profound adjustments. Among other things, the assistance for disorders caused by traumas and extreme stress during operational deployments shows serious shortcomings. That is why the military union ACMP-CGPM advocates for: (1) the implementation of an integral care concept, based on a continuous care pathway, whereby the military is screened periodically and preventively for physical and mental employability, (2) the provision of professional mental support close to the front line, aimed at early detection and early return to normal activities, (3) the development of a new screening tool for deployment related complaints, and (4) the implementation of a trajectory of proactive aftercare activities up to eighteen months after deployment with: a third location decompression stop after deployment, leader and peer led “after action” reviews, and in garrison reintegration training and meetings with mental health support teams and a peer support network. The original version of the article is available in Dutch and French. For more information, please contact ACMP-CGPM.